Captain Burkit was a member of the 9th Infantry Regiment, 2nd Infantry Division. He was Killed in Action while fighting the enemy in South Korea on September 1, 1950. 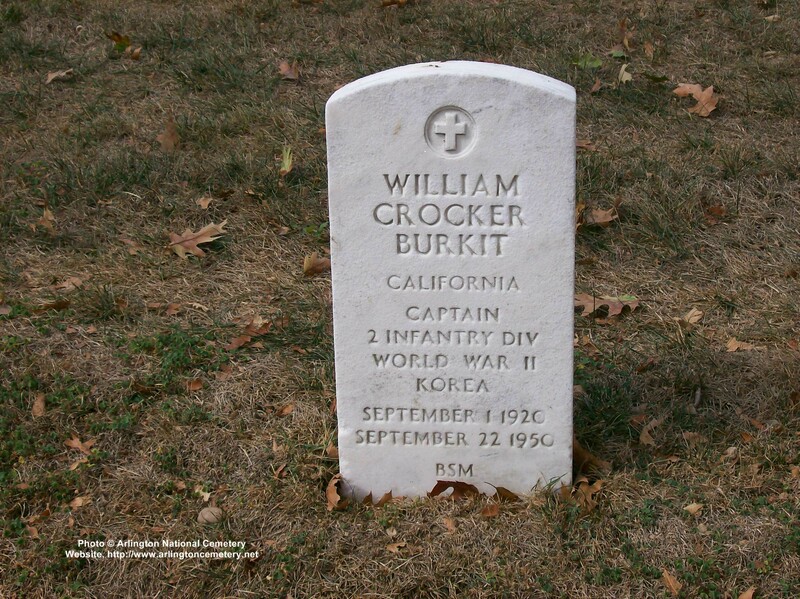 Captain Burkit was awarded the Purple Heart, the Combat Infantryman's Badge, the Korean Service Medal, the United Nations Service Medal, the National Defense Service Medal, the Korean Presidential Unit Citation and the Republic of Korea War Service Medal.